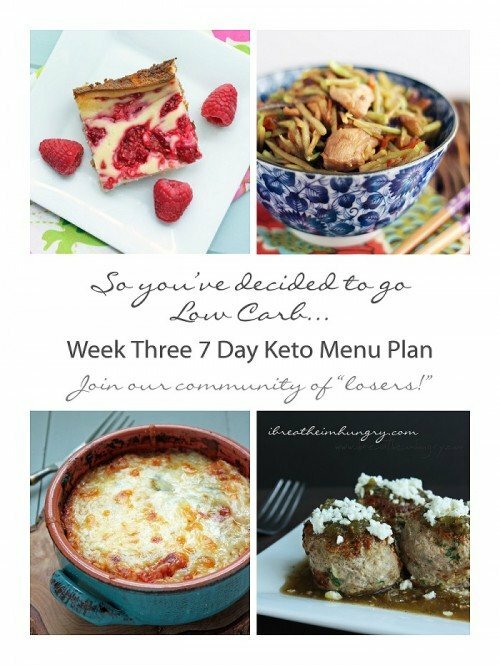 Ok Peeps – here is your Week Three Keto Menu Plan! I’ve had a pretty good week and I hope you have too! I’m down 14 lbs total since I started just over 2 weeks ago! Looking forward to hearing about your progress in the comments! Some notes about this week’s plan. Since a lot of you are doing your prep for the following week on the weekend, I have included 2 recipes to be made in time for your Sunday night dinner – the leftovers from this recipe will be carried into the following week. I’ve also added a dessert this week. If you don’t have or can’t get the ingredients for it, then just substitute the Lindt 90% chocolate or any other keto friendly dessert recipe you can find – just be sure to adjust your nutrition info (especially net carbs) for that day to stay under your 20 grams. Some people (not everyone) may find that using artificial sweeteners will slow their progress while on keto. It stinks, but if you feel like you aren’t getting the results you want this week, you may want to re-evaluate the dessert option and see how you do without the sweeteners. If you are drinking diet drinks or sweetening your coffee with artificial sweeteners and you aren’t impressed by your weight loss so far, you may want to cut that out and see how it affects your weight loss week to week. Just a thought for those of you who are losing slower than you want to. An update on the Dr. Oz segment. I have been notified along with a bunch of others that my video will air on the show, Monday January 27th, but that I was not chosen as one of the three finalists. Honestly I’m not surprised – making over fried chicken isn’t that impressive, and I knew when they assigned it to me that it would be a dead end. I’m not sad about it though – my schedule is super hectic right now and making time to go on the show would be tough anyway. The most exciting part for me was just to be on their radar at all! Now that we’ve worked together once, I may have other opportunities in the future which is cool. Speaking of the future, Mr. Hungry had a great idea that I want to ask you about. He suggested that I might want to do some kind of before and after thing with some of you for Foodless Fridays. That led me to thinking that it would be AWESOME if I could interview some of you after a few more weeks have passed about your progress. I would love to feature some IBIH readers who have had success with the menu plans, starting around Week 7. If you are willing, you can also strut your stuff with before and after photos – that part is up to you though. It always motivates me to see before/after photos and hear about how people have lost their weight – and if some of you are willing to share your transformations then I think it will motivate lots of others to do the same! So if you’re interested, have a before (or take one now as during) photo and take an after (or mid-progress) photo, follow the meal plans (at least mostly) and we’ll start the interviews (one per week) at week 7. It doesn’t matter to me how much you’ve lost – if you feel great and want to share, or you want to sign up as extra motivation to keep going (there is no penalty if you back out – this is strictly voluntary) then let me know if and when you think you’d be ready (6 weeks, 12 weeks, longer? Whenever!) in the comments and I’ll shoot you an email and we’ll go from there. Cool? Cool. OK, that’s all I’ve got for today, so check out the meal plans and get shopping/cooking for the week! Don’t forget to update us on your progress in the comments! I love hearing how you’re all doing and it helps others to hear your progress/struggles as well so please do share! Make 3 batches of cream cheese pancakes (you should have 12 pancakes total) and divide them into 6 portions of 2 each. You’ll have 2 extra – you can freeze them or replace one of the snacks with them during the week. Make your ham and cheese frittata and divide into 6 portions for the week. Make your Turkey Sausage & Kale Soup, substituting the butternut squash for the pumpkin in the recipe. Open the package of boneless chicken thighs and remove 2 of them for the Chicken Stir Fry. Freeze the rest for another time. I recommend making the Chicken Stir Fry the day you have it for dinner – it’s very fast to make and should only take about 15 minutes to throw together. I recommend making the Jerk Ribs and Broccoli Slaw next weekend in time for Sunday’s dinner. The leftovers will be carried into next week’s menu plan. 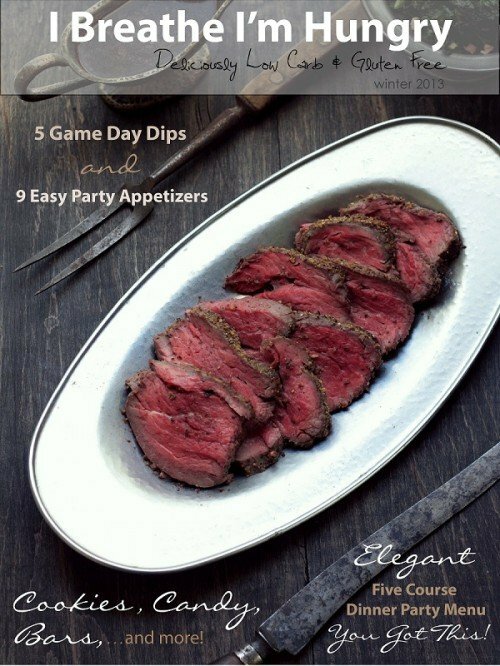 Looking for some great game day recipes? Be sure to download my Winter Issue of the IBIH quarterly ezine for some easy low carb dips and appetizers! 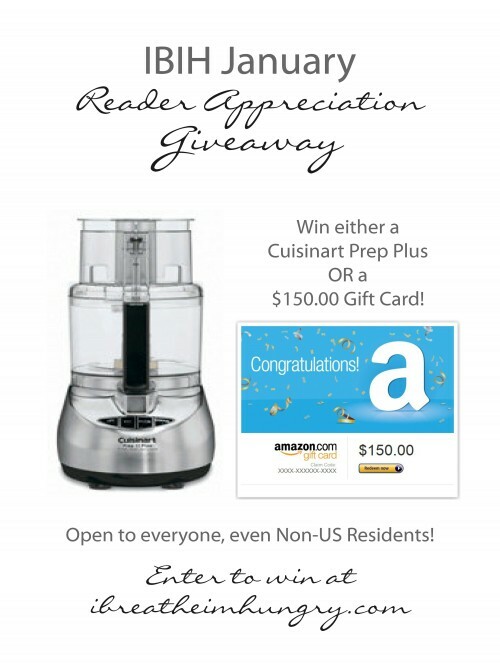 Lastly, be sure to enter my January Giveaway where you can win either a Cuisinart Food Processor or a $150.00 gift card to Amazon! I had already lost 6 lbs by counting my calories in January, but lost an additional 11 lbs in just two weeks by following your week 1 and week 2 meal plan!! The recipes were so delicious that even my husband has joined the keto bandwagon and I’m having to cook double batches to accommodate him too in week 3 :) thank you some much for all your work!! I just wanted to take a moment and say THANK YOU! for posting all these awesome meal plans! 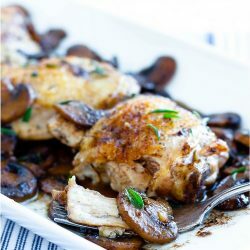 I was recently diagnosed with PCOS, which if you didn’t know has a huge effect on insulin resistance & makes it easy to gain weight and really hard to lose :( A low carb, high protein diet is highly recommended but I was having trouble finding one that didn’t include seafood (I don’t eat it!). These meal plans so far don’t include anything I don’t eat, and also look completely delicious! I can’t wait to try all these recipes out! Hi! About to embark on this woe with an actual meal plan for the first time. Been kinda doing it a bit haphazardly until now. As I’m reading through the weeks, I’m seeing some desserts that call for berries (such as the raspberry cheesecake bars). Well, I’m allergic to berries, and I was wondering if anyone was like me and had to substitute another type of fruit? What can be used, and how did that change the nutrients? My Wife and I have been doing this together. Question: In week three we seem to be out of Frittata’s and Meatballs before the week is up and have to make more. I was wondering if the prep/grocery list was made for two people or one person? It looks like we needed 10 frittata servings (recipe makes 6) and two full recipes of meatballs(32ea) for the week. 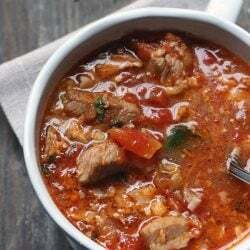 The menu plans are made for one person, though some of the recipes allow for extras – you’ll definitely need to do the math to figure out servings for 2 people for an entire week of the plan, but you won’t have to double everything. Hi there! Stupid question but are these meal plans with shopping lists ,just for 1 person . Meaning when I shop I need to double what I buy so the plan can adapt for 2 people ? Thanks !! 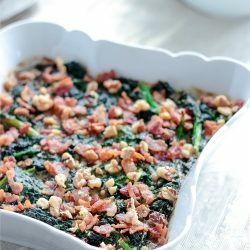 I have been searching for over a year for keto meal plans that weren’t filled with ingredients I couldn’t find or recipes that took hours to make. Thank you for making that happen! I no longer own my own thyroid, no thanks to Graves disease, and I have to eat a Ketogenic diet for the rest of my life, just to maintain. You’ve made it so simple. Thank you again! WOOHOO!!!!! Week 2 down! Lost a total of 2.8 pounds since starting but 17.4 pounds since Oct and I feel great! Thanks again. I had to fight my kids off the jalapeno soup, lol. It’s a winner in our house! Would it effect my results at all if I were to eat the week three keto meal plan as my first week in keto? I absolutely love all your recipes and nutritional input! I am so discouraged. I’m sure you get tired of hearing people wine about not losing weight, but I just can’t figure out why low carb diets don’t work for me. They’ve been around for years, and I’ve tried every version with very little results. This one sounded different, I got the strips to pee on, I’m going against every fiber of my being and using heavy cream in my coffee, gaging through avocados and disgusting extra dark chocolate…. and nothing. My strips are dark pink, I am clearly in Ketos, but nothing. I have reduced my sweeteners to only one diet soda a day… and nothing. Does it just not work for some people? How long should I keep trying? I teach Jazzercise 4 times a week and run around all day as a school teacher. I’m just so mummed. I love your menu plans. started with the egg fast and lost 8 pounds but haven’t lost any since ugh. Still trying though. Would you suggest anything different for dessert on week three that doesn’t involve coconut? You can sub something from any of the other weeks Alicia! Hey! Just starting the Keto diet and finding your posts invaluable! I love the recipes and the meal plans really make my busy life easier! Could you let us know what brands you use for sugar free products? I want to be able to go to my local deli and ask for a specific low sugar ham. I have been on the plan for the last two weeks starting week three and I have only lost a pound each week. I am not sure why. I am writing each meal down with micros and cals. I have been a little off because of mother nature, but I knew that I would do better. Before starting week 1 I did the egg fast and lost 8 pounds. Now no such luck. Do you have any suggestions from your experience what it could be. Thanks in advance for your suggestions! If you just came off the egg fast and a big loss, then 1 lb a week is actually not bad. After the initial big drop (and depending on how much you have to lose) most people settle in to a 1-2lb a week loss. Some will lose a little faster but unfortunately not all of us! Hi! Love the recipes. But I can’t seem to find the desiccated coconut? Googled it and everything. Where can I find it? Want to make for thanksgiving. Thanks! Down 10 pounds in 11 days!! I am so pleased! I had a dream last night that I was eating some cake thing that came packaged and in my dream I didn’t finish eating it because I thought it tasted gross! Major subconscious breakthrough! I have been saving a ton of money too! Making and bagging my own breakfast, lunch and snack has been easy and yummy….my co-workers have been begging me for recipes! I told them all about your blog…. Thanks again. I am heading out today for a day of shopping as my favorite sweatpants are getting too baggy!! I am on Week 3 day 2 – I have lost 15 pounds total. I have enjoyed EVERY recipe and so has my family. The variety each week is so excellent. The cheesecake bars during this week are the BOMB!! I give them 5 Noms out of 5. Melissa, you have taken care every challenge people face when trying to lose weight; planning, shopping, good tasting food, ease of preparation and food that our families will enjoy as well, not to mention very “normal” ingredients. I live in a very rural area and have been able to purchase all the ingredients with ease and I don’t have to break the bank. THANK YOU – you’re a genius! I am blessed to have found your blog and share it with everyone I can. These meal plans are really phenomenal. I love the logic/thought behind them. And I love the organized grocery lists and prep plans. This is just how my mind works when I do my own menu planning… I sort my grocery list by section of the store and plan out what I’ll prep on the weekend. Thank you for all the time and effort you’ve put into these. Hey Melissa! I am so grateful to you! I have been successful in staying on a meal plan faithfully for the first time in my life. I am very committed to myself and this journey. I have survived a birthday party, donuts at work, and Valentine’s Day. I am a true chocolate lover. The fact that I wasn’t even tempted speaks leaps and bounds for your meals. LOVE them! Thank you again! Down 20lbs and staying strong! Hi again from Canada, Melissa! I just baked your Raspberry bars and I’m serious…I’ve never had a better low carb dessert!!! 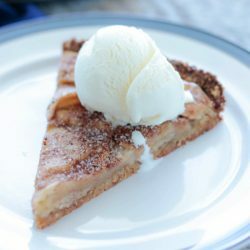 I used half the amount of xyletol in the crust, and oh my gosh…they are the bomb! Hubby, son & I had one per day and while the other kids looked on in amusement at how much I freaked over them, they had no idea what they were missing. lol! I haven’t got organized enough, grocery wise, to do an entire day of your amazing menus, but I am sticking to around the same percentages & calorie amounts (ie…anywhere from 1500 to 1800, depending on my activity level). Usually I am at around 1550 calories though. Most of us know that calories are not the whole story, but for women in their late 40’s, I think calories may matter more than we’d like to admit, for weight loss. Having said that, I think this level of calorie intake should eventually “work”, not to mention having my carbs down to under 7% at all times (& usually at 5%). 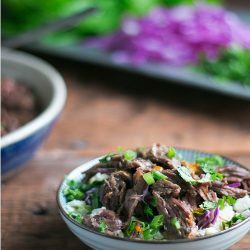 -I can’t wait to try other recipes from your site & I still do wish to get my act together and try out a full day of menus, getting enough supplies in to do even 2 days of menus and rotate them. 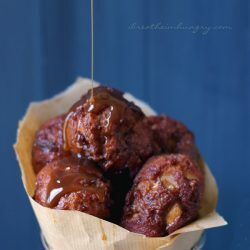 You’re an absolute sweetheart & thanks again for these knockout recipes! Hi Mary! Thanks for letting me know how much you all liked these raspberry bars! I’m thinking you’re better off with the other kids not knowing what they were missing – or you’d have had more of the dessert “missing” lol! ;) Don’t feel bad if you’re not doing the menus either – it’s just a guideline anyway, and especially useful for people just starting out who haven’t figured out what macros and calories are best for them to see good results on low carb. But if you do end up trying them out, let me know how they work for you!! Oh, never-mind! I went back to the home page and found week 2. Don’t know why I missed that little point; but I was mainly checking recipes and following other links. Question…I found the Start menu and Week 1 and Week 3. Where is week 2? I cannot seem to find it. 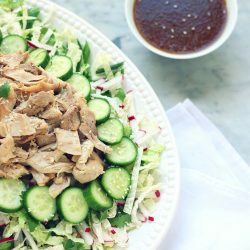 I just wanted to give you a big THANK YOU for sharing your meal plans, recipes and shopping lists. You have made meal planning and grocery shopping a BREEZE for the past couple of weeks. I really enjoy your blog, and I truly appreciate that you are willing to share this information for free! Thank you so much! Wow! 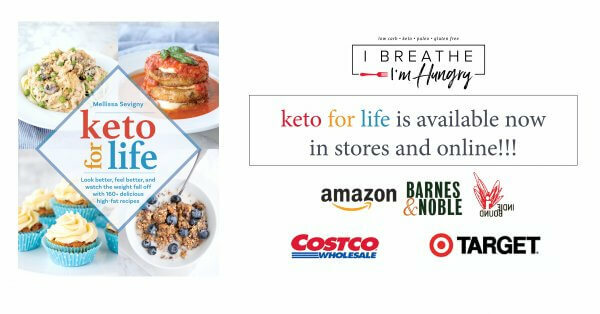 I’ve always wanted someone to do the work to plan some Keto menus. You’ve done it!!!! Thank you. I just discovered your website tonight and have been searching around for hours! I can’t wait to start on the menus. I never have been able to get very far because I never know if I’m doing “it” correctly. And then, I give up. :( Thanks again for all your work. And what is the formula for figuring out those ratios on other recipes? I apologize if it’s been posted and I missed it. A lot of people use my fitness pal website to track their macros and enter recipes in to find out what the ratios are. A bunch of the IBIH recipes were added there over time so you can find some of them there. Hey Melissa, I really appreciate all the effort you are putting into these weekly keto posts. I know how time-consuming all the configuring can be! What ratios for carbs, protein, and fat are you using? Thanks Ann! I’m not overly concerned with ratios for these plans since everyone is different in their macro requirements anyway – I mostly just focus on keeping it below 20g net carbs per day, between 1600 and 1800-ish calories, high fat, and moderate protein. Then people can customize by removing snacks and dessert to cut calories, adding more fat or protein if they need it, etc. 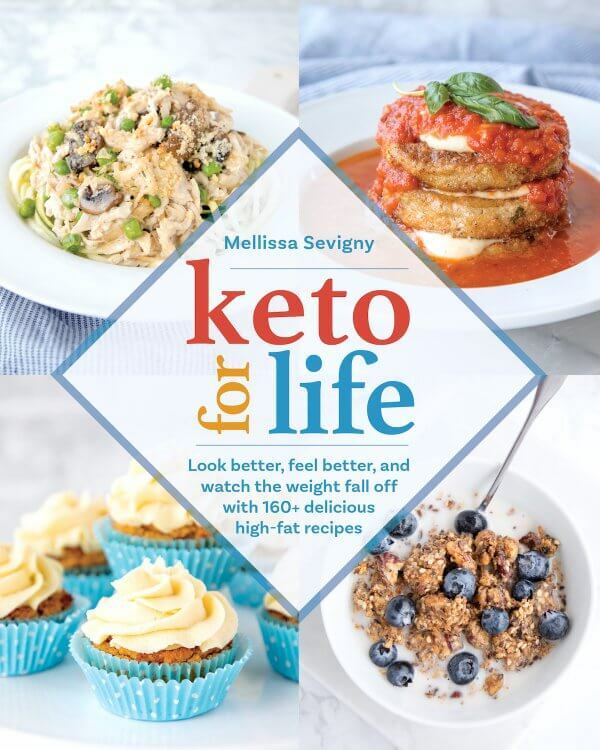 Melissa, thank you so much for posting the Keto menus. I started on Friday morning and was in ketosis by Sunday. Who knew that a little purple could brighten up someone’s day! Made your cauli mash to go along with a pot roast, and it was just the perfect thing. Congrats Louanne and thanks for letting me know! 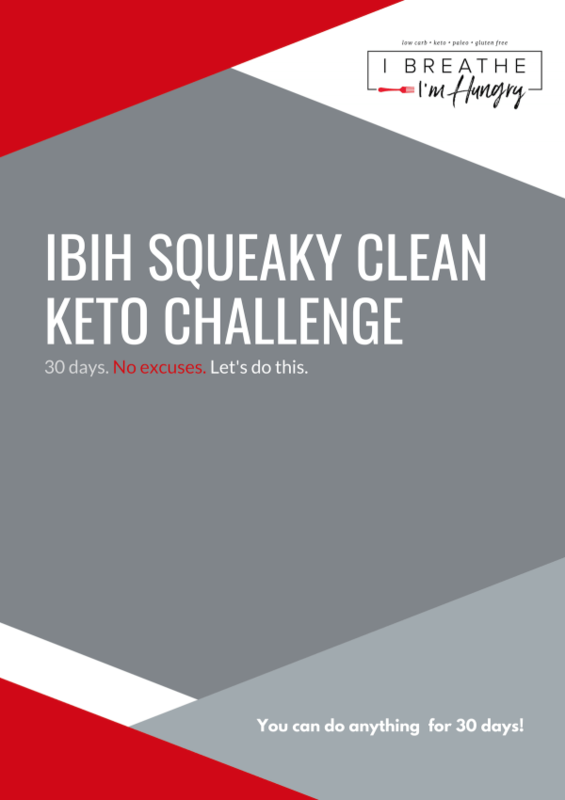 The ketostix are crucial at first – and I still use them occasionally to remind myself that I’m doing the right things and just need to work the plan and be patient! Glad you are enjoying the recipes – keep us posted on your progress!!! When I embarked on this low carb journey a few weeks ago I was the heaviest I have ever been in my life (except while 8+ months pregnant with each of my children). I was miserable and couldn’t fit into any of my clothes. I am now starting week 3 and I am down 15 pounds! I went from 142 to 127 in just a few short weeks. I am following the plan but I am also exercising (spin, zumba, yoga) at least 4 times per week. Not only am I losing weight (and my husband is too) we have had more energy and felt totally satisfied with our food. My kids even love your recipes!!!! Keep posting and I’ll keep following (and telling all my friends about you). Thank you so much Grace and CONGRATULATIONS!!! Comments like yours make the time I spend putting these menu plans together SO WORTH IT! Thank you! I just want to say, I love you! I have yo to dieted for years with my mother, you name it I’ve done even keto based clinic diets full of protein packets and hundred of dollars in pills. About a month ago I started researching keto diets, I knew I wanted real food. I bought some books of amazone, total waste! I came across your blog last week, I started Tuesday and as of this morning I’m down 6 pounds, I’m not hungry, I feel great!!! Again I love you!!!! Welcome Brooke and thanks so much! I’m thrilled that you’re having such great success with the plan so far! 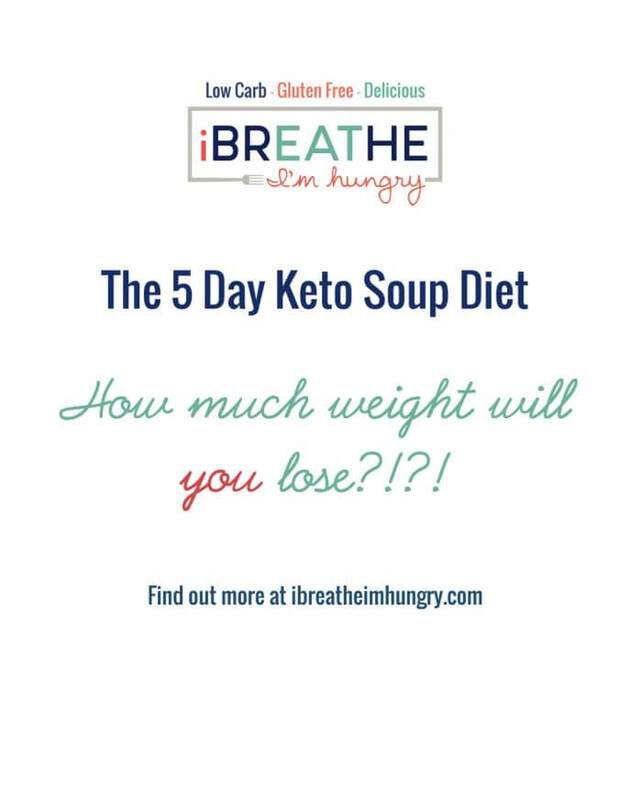 I’ve tried other methods too and keto is the only thing that really works for me, and like you I love that we can eat real food and not starve ourselves! I wish more people would realize that it’s possible and even easy to lose weight this way! 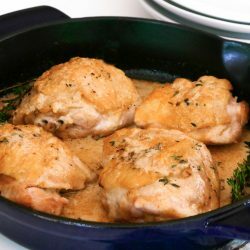 I started following this blog a few weeks back & was so excited to find such delicious recipes! I started the Atkins diet on October 1st… Starting at 245lbs. The heaviest I’ve ever been in my life. I’ve been following the diet consistently until Christmas where I messed up a little. I got back on track the second weeks of January & have currently lost a total of 46.6 lbs since October 1st :) thank you so much for sharing your awesome recipes!! Long time listener, first time poster. ;) I love your recipes, but these meal plans are really spectacular. I’m about to start week one after having fallen off the wagon for a couple of months. Thank you so much for making this so easy! Nice to finally meet you! :) Congrats on starting week one – I hope you have great success with the plans and will let us know how you do! Down 12 pounds according to myfitnesspal app. Yay! Go me! Done shopping for week 3. I’m going to have to maneuver some of last week’s meals into this weeks as I have some leftovers I don’t want to waste. Doing great on keto; haven’t broken down and cheated yet! However, mother nature is on its way and I just want to eat. I veered off the plan a little and “snacked.” Brie cheese, almonds and bacon for a snack. At least I stayed keto. haha! Making the raspberry cheesecake bars now. Can’t wait! I’m a little worried about the crust. It was very sticky and hard to spread. I hope that’s normal. Cheesecake bars turned out fantastic! That one’s a keeper for me. Thank you! Thanks for letting me know Deena, I’m always especially thrilled when the recipes appeal to the whole family! It’s harder to stay on track when we’re cooking one thing for ourselves and another for everyone else! This week looks good! I love meatballs. They’re so easy to take to work for lunch. I also can’t wait to try the stir fry. I’m still not following the plan, exactly as written. Last week I had the cream cheese pancakes for breakfast every day at work with low carb sausage balls. For dinner, I’ve been making whatever is on the plan that my family will actually eat & then subbing other days with other lower carb meals they’ll eat. And then having the leftovers (if there are any, I do have a 13 year old boy lol) for lunch, or meatballs for lunch. Anyway. I’m down 6.6 total pounds since the 14th & 3.6 of that is since the 20th! Way to make it work for you Amanda and congrats on the weight loss so far!!! Looks like another wonderful week of great food. I am loving the recipes and so is my family. Thank You for helping guide us to better health. So glad you are all enjoying them together Melissa – that certainly makes things easier doesn’t it??? I hate cooking separate meals for everyone – it makes it so much harder to stay on track that way! I just want to say a HUGE THANK YOU!!! I have been low carb for a month and no results and then I stumble across this wonderful easy kick start!! I’m revamped and excited to restart! Thank you so very very much for taking the precious time to share all of this with us and making it soooo easy! I really appreciated it!!! This is a great menu, full of good ideas. 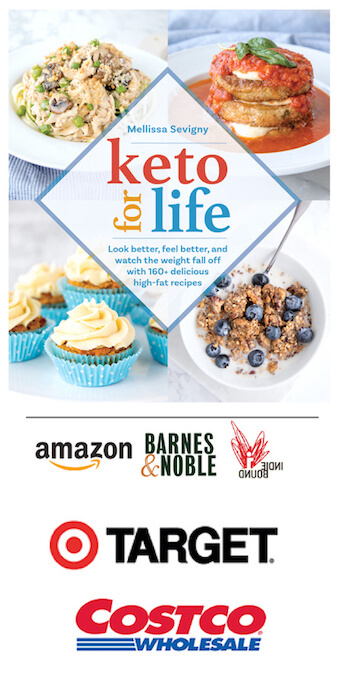 As a long term ketoer, I just wanted to point out to your readers that a 14lb loss in the first two weeks is a huge loss, so congrats! HOWEVER, that is not typical, so others shouldn’t be discouraged! If you have lost 5+ pounds in the first two weeks, you are still right on track. Thanks for that reminder Lauren – it’s so hard to stay patient!!!! I’m down 8.5 lbs. Wish it were more. Maybe this week will show a bigger loss. Hope so. Raspberry (favorite flavor) cheesecake bars! What a treat. Thanks. Hang in there Pat – it will happen! Hope you enjoyed the week three plan!